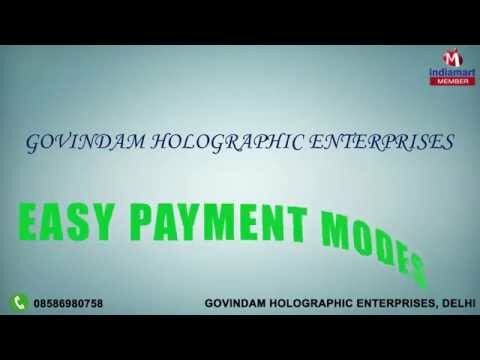 Welcome to Govindam Holographic Enterprises, established in the year 2012, we are one of the leading manufacturers, traders and suppliers of this impeccable range of Holographic Product. The offered range made available by us in the market, is made up of the finest Two D & Three D Hologram, Colour Hologram and Flip-Flop Hologram, having a high demand in the market. Making of this range is done using the finest raw materials and modern machines, in compliance with the set industry norms and guidelines. This ensures the products design and finishing. Further, the range widely used in the banking and telecommunication industry, is priced quite reasonably. In addition to this, our working in the most effective and efficient manner, has helped us in generating a huge client base.